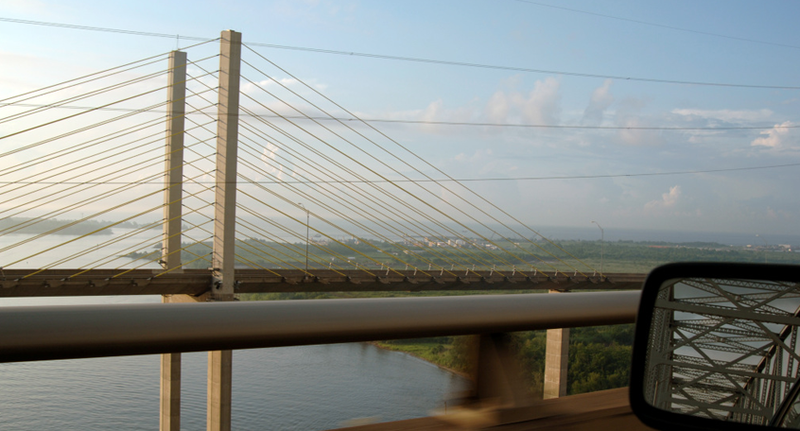 The Veteran’s Memorial Bridge is located on SH 87 over the Neches River between Bridge City and Port Arthur. 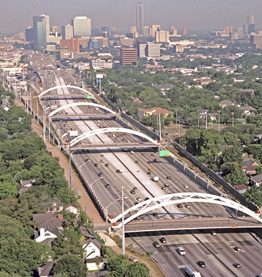 It is the first cable-stayed suspension segmental concrete bridge in the state of Texas. 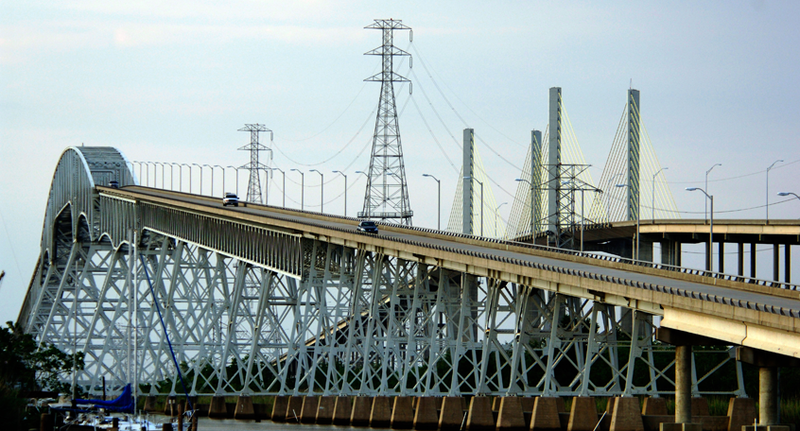 The bridge uses cables streaming from towers on either side of the river to hold its deck and roadway in place about 120 feet below the top of the towers. The towers reach a height of 272 feet and hold fourteen pairs of cables. The Veteran’s Memorial Bridge has a total length of 9,440 feet and a grade of 3.65 percent. It has a center span across the river of 640 feet. 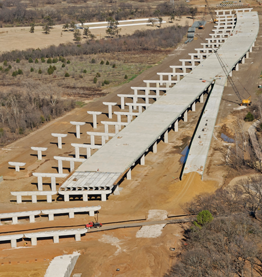 The center span is flanked by side spans of 280 and 140 feet. The main span is made up of 10-foot concrete segments, which were precast in Victoria and shipped to the site, by barge. 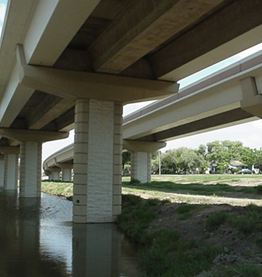 Beams spanning the underside of the bridge were precast in San Marcos and trucked to the site. The new bridge clears the river by 143 feet, five feet above minimum required water clearance at the time of its approval. 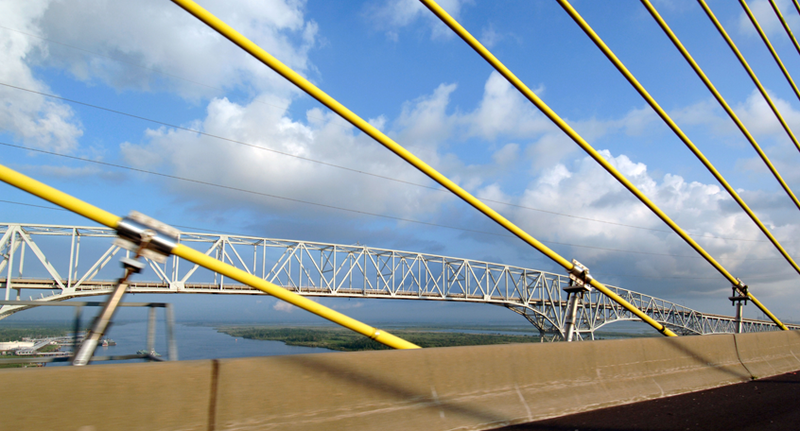 The bridge is situated about 400 feet downstream from the Rainbow Bridge, completed in 1938, and about a mile from the mouth of the Neches River. The Veteran’s Memorial Bridge was officially opened for traffic October 15, 1991. 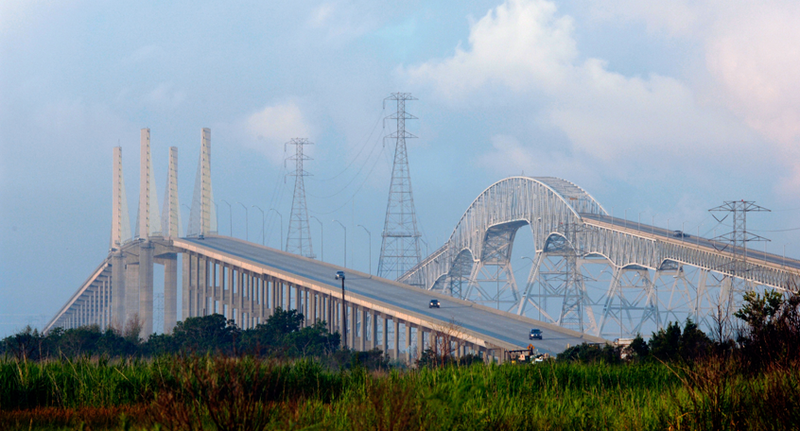 The cost to the Texas Highway Department to build the Veteran’s Memorial Bridge was $22.8 million.